I was invited to produce an intervention for Taiwan's most established art magazine together with the Taipei Contemporary Art Center. I devised a set of pages that would be appearing next to regular editorial material in the magazine. 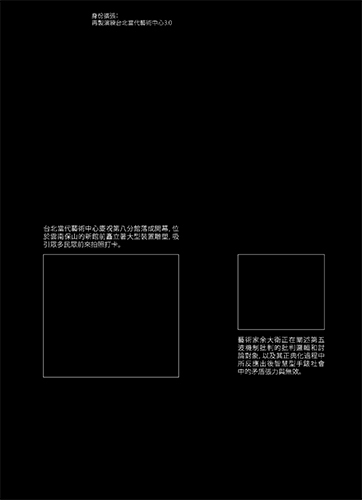 These pages would, only by text, describe fictional future events relating to the Taipei Contemporary Art Center, imagining, or mocking conventions of institutional publicity and mythology. Developed together with Esther Lu and Jo Ying Peng. One spread featured also two phtotographs from my Caption Picture Series.